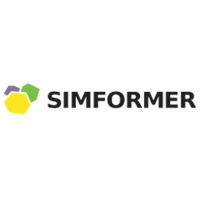 Simformer is an unparalleled project that not only creates a powerful, multi-user business-simulation environment, but also a platform that is fundamentally changing the current approach to business education. The learning is more effective and practical. Their goals are to bring closer theory to practice, knowledge to skill, abstract formulas and definitions to real life by eliminating the skills gap, to provide employees at all levels with skills that can be applied in any business environment, to help new entrepreneurs avoid common mistakes and be more effective at business development. The team offers a rare fusion of capabilities in the fields of educational technology, game design, business development, HR, and design and development of complex computer systems.